Orange is a color that pops up every year at the start of spring-summer, and sure enough, this year too orange is the new black must-have color. 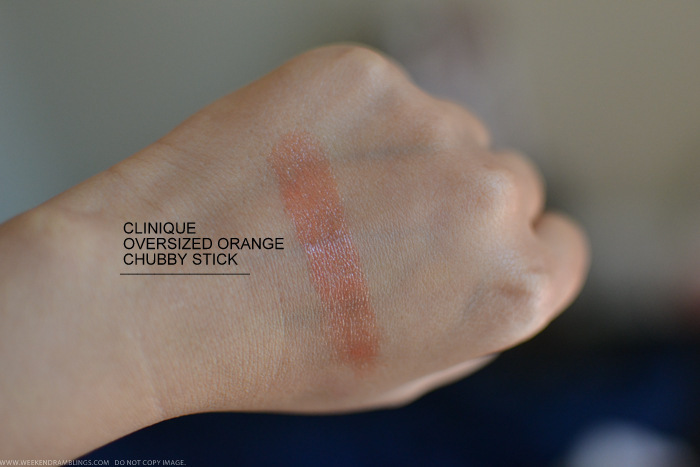 While eyeshadows and blushes are much easier to wear, I find orange lips a little more difficult to pull off, and if like me, you are a little color shy, then give the Clinique Chubby Stick in Oversized Orange a try. Clinique Chubby Sticks are like tinted lip balms with supercute packaging. These chubby pencils have a twist-up mechanism so you don't need to worry about sharpening, though the end does wear down quite a bit with use. 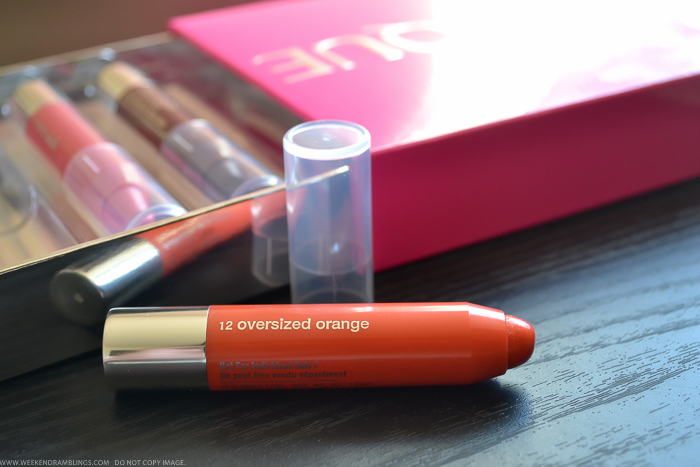 Oversized Orange is part of the sheer range of Chubby Sticks, so it leaves a barely there tint of orange on my pigmented lips. 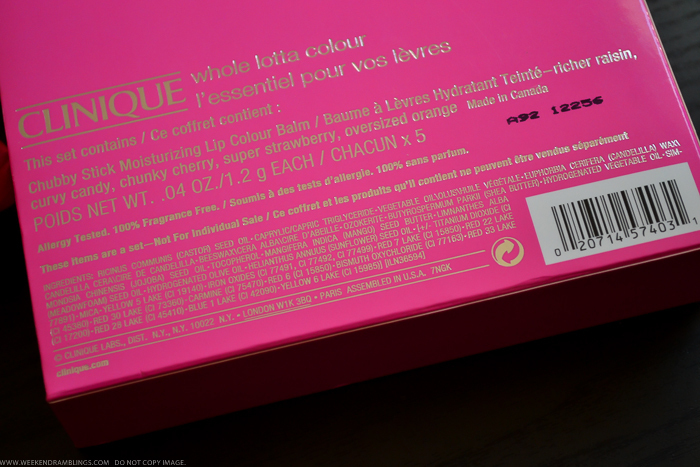 I have used it on its own in the photo above, but I usually like to use this under peachy-coral lipsticks or lipglosses. 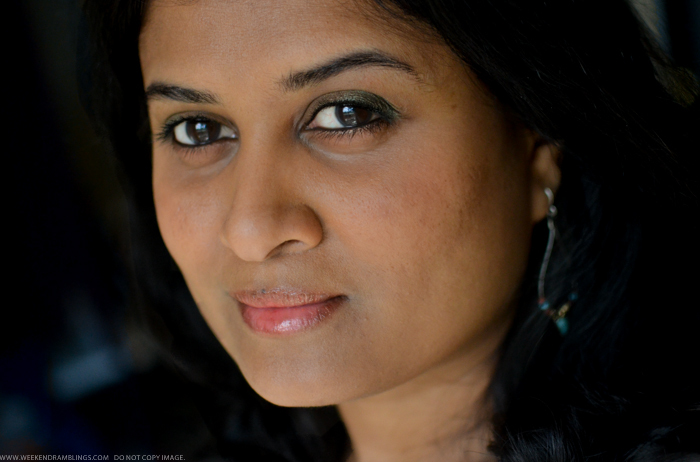 It gives a smooth base for lipsticks to go on and helps colors show up better and last longer. The Chubby stick also keeps my lips from getting too dry. If your lips aren't so pigmented - and unevenly so - like mine are, then this would be a fun color to try out, especially for the spring-summer months.